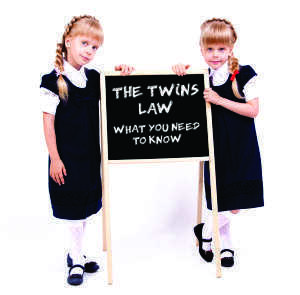 The Twins Law refers to a law that would allow parents of twins or multiples to decide whether or not to place their children in the same classroom. This is a very important topic for parents across the country. It directly concerns their ability to make decisions regarding education. Currently, many schools require mandatory separation of twins and multiples in the classroom even though most psychologists and parents disagree with this concept. This policy has no basis on actual twin research and no concern for the individual needs of these children. It's an out-dated concept considering that a single child would not be treated this way. Leading the effort is Kathy Dolan, of Queens New York. She needed a doctor's note to keep her sons together in kindergarten. After her battle, she founded the Twins Law to push for legislation in every state similar to the Minnesota Statute. Whether children are ready to be separated or not, a lot of consideration should go into the decision making process. Some kids will be totally fine and even ask to be in different classrooms. However, many will struggle being apart from their sibling if they are not truly ready. There are a few states that have enacted Twin Laws, a few with Sponsored Twin Bills, and many that are still awaiting sponsorship. If you are a parent, guardian, or relative, of twins or multiples and want to have a voice on this important issue please contact your local and state leaders. You can find out if your state is affected and learn out how to help. Whether you agree with this policy or not, you should still have the final say in regards to your own children. Be sure to read this interesting article from the Seattle Times about twin girls that were assigned to completely separate schools! 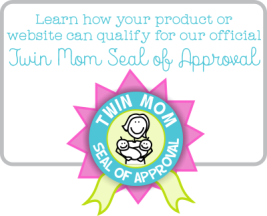 It's pretty unbelievable and will truly give you an idea about the lengths that some school districts will go to just to keep twins apart and uphold their unreasonable policies. And, here's a wonderful article by, Terry McCoy about a town in Pennsylvania that actually allows the parents to make the decision about how their children will be placed. The article also includes several excerpts from studies that have been done on the subject. This article by USA Today is titled Should Twins Learn Together? and covers the issues that parents of multiples struggle with in a school environment.